Statins are inhibitors of the 3-hydroxy-3-methylglutaryl coenzyme A reductase, which are widely prescribed for their cholesterol-lowering properties in order to reduce atherogenesis and cardiovascular morbidity. Moreover, statins have been shown to exert pleiotropic immunomodulatory effects that might be of therapeutic benefit in autoimmune disorders. Statins appear to alter immune function largely independent of lipid lowering and rather through inhibition of posttranslational protein prenylation of small regulatory GTP-binding proteins. 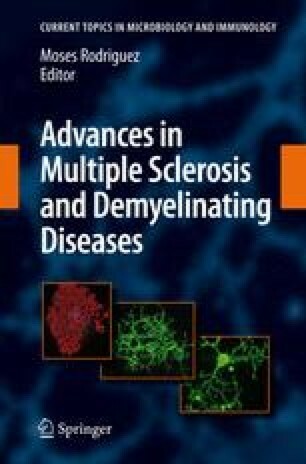 In experimental autoimmune encephalomyelitis (EAE), the murine model for multiple sclerosis (MS), statins were shown to reverse established paralysis and to exert synergistic benefit in combination with agents approved for MS therapy. Based upon these encouraging findings in treatment of EAE, statins are now being tested in clinical trials in patients with MS.